Waste Segregation – Need of the hour (World Environment Day, 2017)? I was searching for inspiration on how I can play my part for the World Environment Day, 2017 (June 5). 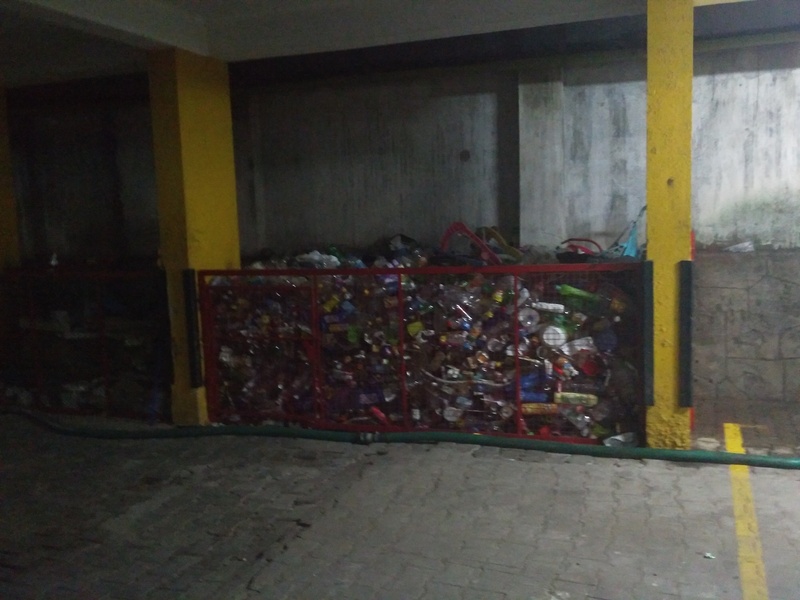 I could not do much; however, on my visit to Trivandrum, I discovered that the society we stayed in had robust waste segregation measures in place. Every flat of the society was allotted two garbage bins – a green and a blue one, with lids. Rules regarding waste segregation were posted in the lobby area of each of the building of the society. Wet waste needs to be put in the green bin and the ‘other wastes’ in the blue bin. Clarification was provided regarding ways of disposal of the latter which included a wide range of household waste. Among the rules was a critical line – the non-segregated waste will ‘NOT’ be picked up by the door-to-door waste collection personnel. I was impressed with the efficacy of the system. Further, I decide to see what happens to the segregated waste. I was further surprised that the society complex had an in-built waste treatment system in place. I was told that while the food waste is composted, the other waste (that which cannot be recycled) is incinerated. There was a sewage treatment plant as well, all built in the basement of the building. (See the pictures below) The use of incinerator for combustion of household waste can be debated; however, recycling is definitely a safe, sustainable option. The bottom line is that pro-active, futuristic buildings have already starting doing their bit. Waste here is treated as a ‘resource’ as food waste generates manure for the up-keeping of the park area of the building. Further, the recyclable waste fetches some revenue; and this way, the entire bulk of household waste is prevented from becoming an eye-sore in some part of the city, as well as a social and environmental nuisance (remember, gases from waste decomposition in landfills contribute to the dangerous ‘climate change’). The Swachh Bharat Abhiyaan in India has already made ‘Waste Segregation’ a theme for this year’s World Environment Day. The real difference will be when this is done in every household and every building in our country. and our world..! …Wishing a very happy and inspiring ‘World Environment Day’ to all! This entry was posted in Climate Change, Environment events, Environmental facts, Sustainability, swachh bharat mission, Waste Management and tagged composting, Environment conservation, incineration, recycling, waste management, WED, wed 2017, world environment day. Bookmark the permalink. I wonder if such a thing has ever been carried out in Assam? But, unfortunately, there is quite a number of people, who refuses to see sense. In fact, you will still find people throwing waste plastic on the roads. I myself, have in fact spoken to a number of such people. Adults, really. And we have been learning to throw waste in the dustbin from childhood. Talk about being educated. But, there are a number of people that still refuses to see sense. Throwing waste, especially plastic, still seems like a normal thing for a section of the society. Open Burning of Household Waste – What can be done? Why open burning should be discouraged in Trivandrum, and other places?